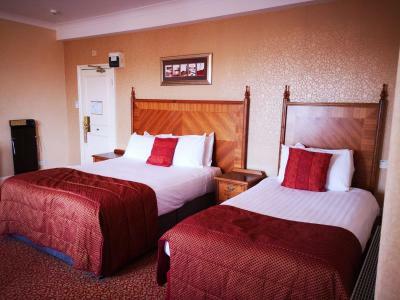 Lock in a great price for Imperial Hotel Blackpool – rated 8.1 by recent guests! The food in the evening was good and the breakfast was lovely . No vegan food option so I had to have a meal minus the blue cheese so that was very disappointing,this was after requesting a vegan option earlier that day, and also room 220 had the most awful view, so having to pay 93.00 b and b should have been lesser than the other paying guests, also the bedside lamp nearest the window wall was very dusty with stickers on the base, I think from other guests. So overall the price was too high. The staff were great.the no 10 bar was good.the breakfast was superb but all spoilt as I couldn't wait to check out. The look of the Hotel, it’s history. Most of the Staff were superb and couldn’t do enough - let down by 1 member, which is a shame. From the moment we walked through the entrance every one of the staff we interacted were charming and went out of their way to help. The management have clearly inspired a pride amongst their staff and a desire to give their customers the best experience. A grand old Victorian hotel well maintained and easy to imagine it in its early years. A great overnight stay. Location was ok with a ten minute walk to tower and tram stop directly outside. Ample parking. Good buffet breakfast and great dining menu. Great hotel, lovely grand feeling to it. 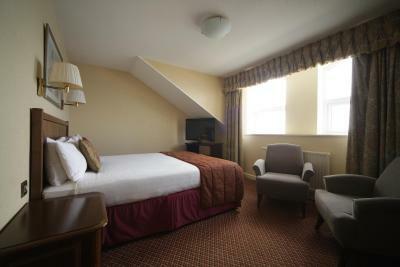 Ideal location away from the hustle and bustle but within walking distance. Great breakfast. 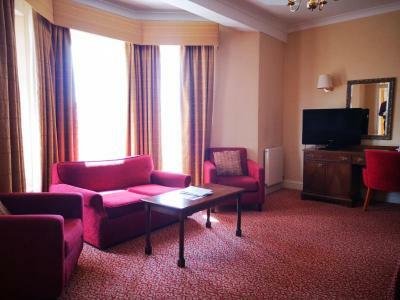 The hotel is very large and grand and does need a little updating but nothing major. I shared a tripple room with some friends and unfortunately the 3rd bed was very uncomfy and the slamming door in the hall way resulted in no sleep on the first night. We were moved for the second night and this was much better. 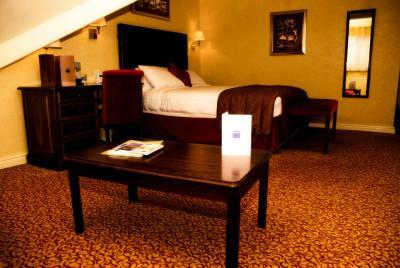 Staff were very friendly and helpful and went out of their way to make our stay a good one. Apology bottle of wine in room and complimentary late check out due to the problem. Health spa was nice and breakfast was also good. I loved the sauna, steam room and the jacuzzi. Breakfast buffet was delicious and the staff were very friendly. 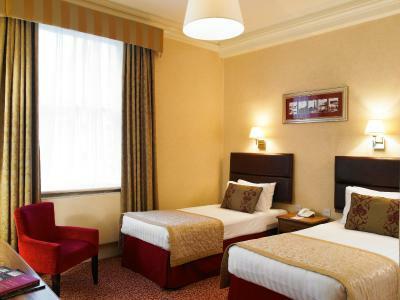 Imperial Hotel Blackpool This rating is a reflection of how the property compares to the industry standard when it comes to price, facilities and services available. It's based on a self-evaluation by the property. Use this rating to help choose your stay! 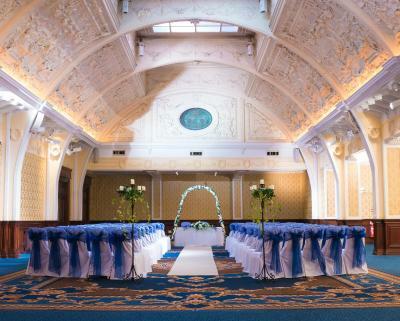 One of our top picks in Blackpool.This Victorian building looks out over Blackpool's North Promenade to the sea. It is now a 4-star hotel and has an indoor swimming pool, a sauna, hot tub, steam room, gym and bar. 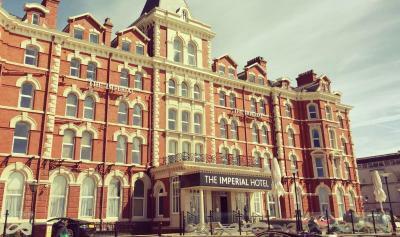 The Imperial Hotel Blackpool is in the quieter North Shore area. The North Pier is 2,950 feet away and there are trams to all the attractions. Blackpool North Rail Station is 2,650 feet away. 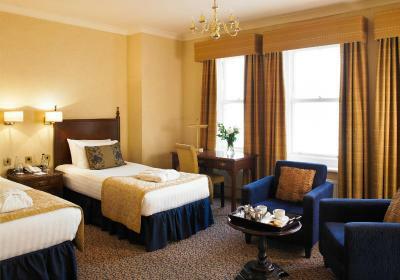 The Imperial Hotel first opened in 1867 and combines original character with modern comforts. The Health & Leisure Club offers a range of beauty and relaxation treatments. 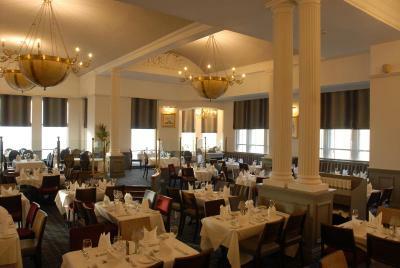 The Palm Court restaurant has sea views and the No. 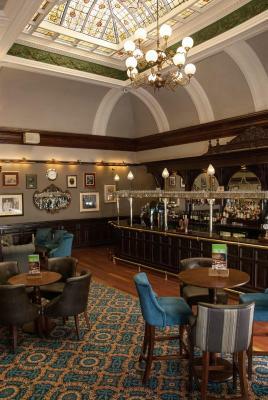 10 bar has Victorian features, including high ceilings. The bedrooms with attached bathroom are decorated in a traditional style and each have a flat-screen TV, free Wi-Fi and refreshment facilities. 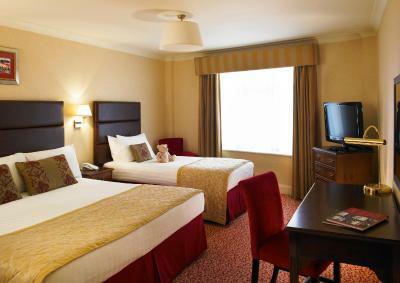 The hotel also features a playroom for younger children, and a games room for teenagers with table tennis and other activities. 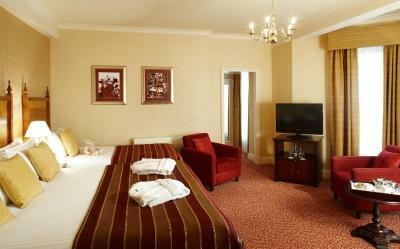 When would you like to stay at Imperial Hotel Blackpool? Smaller rooms with a sea view. Please note some of these rooms are on the 4th floor and are built into the roof with lower ceilings. Private parking is available on site (reservation is not needed) and costs GBP 7 per day. 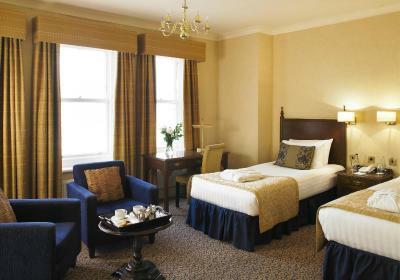 A desk and seating area are provided in this twin room. 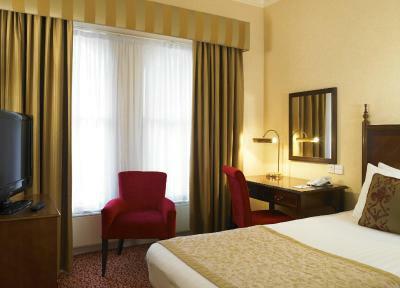 It also features a flat-screen TV, free Wi-Fi and refreshment facilities. 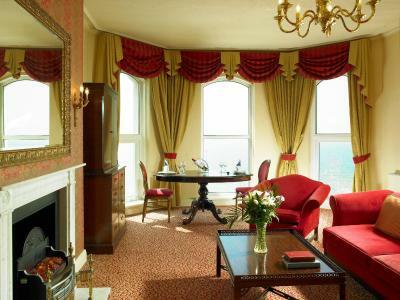 This room includes a GBP 10 beverage spend. 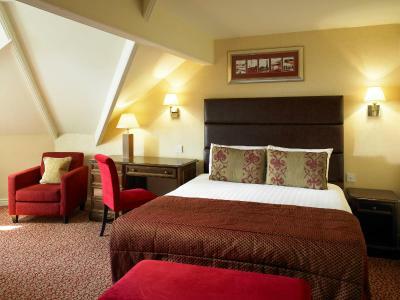 To accommodate a family in our guest bedrooms, in some cases a foldaway bed will be used. 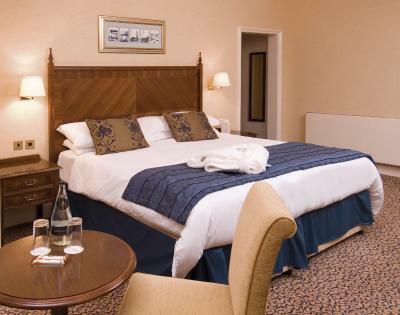 If guests require a cot, they should ask at the time of booking. 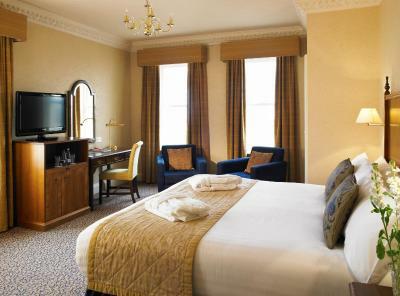 Spacious, airy rooms with luxury bathrobes, slippers and bottled water. This room has a single bed and a shower room. 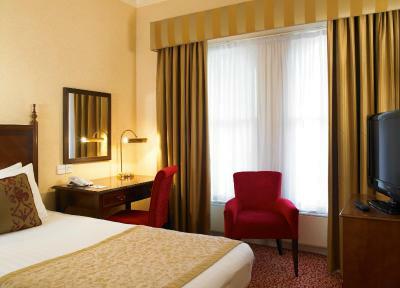 These rooms include bathrobes, slippers, mineral water and premium toiletries. Please note rooms do not have sea views. 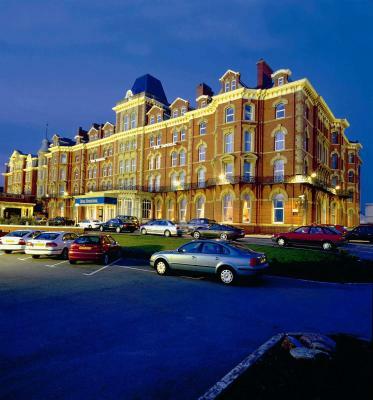 House Rules Imperial Hotel Blackpool takes special requests – add in the next step! 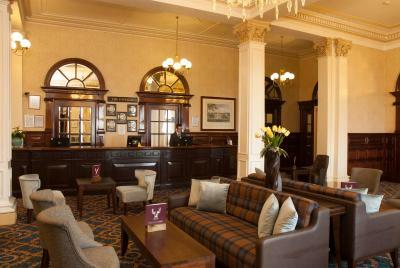 Imperial Hotel Blackpool accepts these cards and reserves the right to temporarily hold an amount prior to arrival. 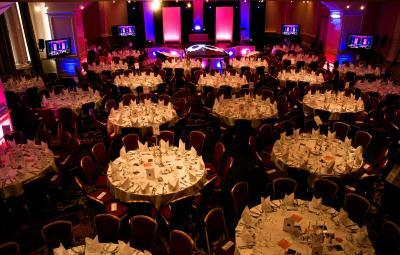 Please note if you have children in your party, food is not included in the booking price. 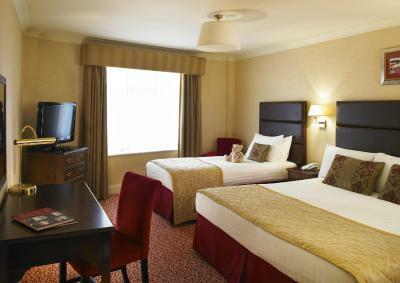 To accommodate a family in our guest bedrooms, in some cases a foldaway bed will be used. 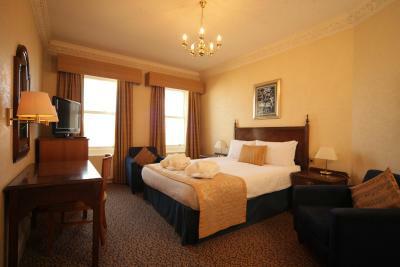 If you require a cot please ask at the time of booking. Breakfast is free for children aged 5 years and under. Breakfast for children aged 6 - 12 years are charged at GBP 3.50. Children aged 13-17 years are charged at GBP 8.50. Children aged 5 years and under can choose a free two-course dinner with a full paying adult. A children's menu is available for children aged 6 - 12 years old, or they can order from the restaurant menu at GBP 10. Children over 13 years are classed as young adults and pay full rate for dinner as taken. Family dining times may apply. Children's meals are not included in the booking price and will be added to your booking by the hotel. Good selection of drinks at the bar. Food was good but menu not varied much. The room was disappointingly small and not cleaned properly. Having to pay £7 a day for car parking when you are a guest! The food was amazing. Location was good being on the sea front. Trivial but sadly the view wasn't brilliant, not that it wasn't a gorgeous Hotel, guess someone has to have dull view. Would have been good to have the parking charge more evident in the details but was still value for money. 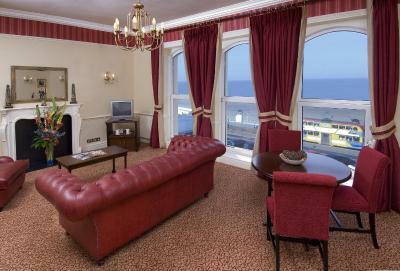 Stunning location and position on the sea front, just that comfortable disyance from the town centre, comfy bed spacious bathroom, thoroughly enjoyed the stay. 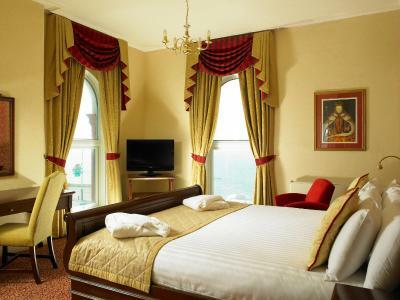 Very nice looking hotel, elegant and stylish inside though traditional style. 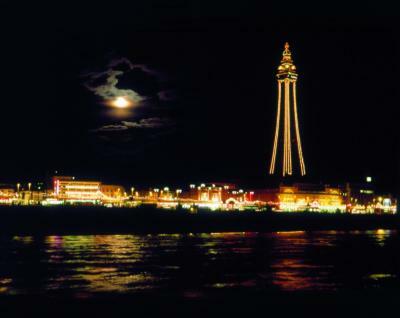 Mixed ages visiting and far enough away from Blackpool town centre to be quiet, but close enough to walk to all attractions. Tram stop outside. Food good and nice bar. Spa available though I didn't try it. 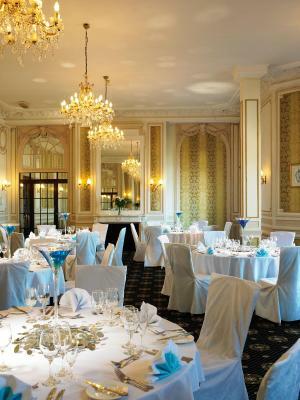 Excellent location, beautiful grand hotel. Had use of the pool and jacuzzi whilst there. Breakfast was excellent and the staff were fantastic, will be returning soon. Some of the staff in bar were a bit too unceremonious, and could have brushed up on their etiquette a bit more. The atmosphere was so wholesome, and the building was opulent.